Each canoe trip that we are offering this year is unique onto itself and vary in length from shorter weekend trips to weeklong journeys into the beautiful and scenic Algonquin Park. Many of our trips from the past are being offered again while there are some new experiences being planned as well. We will kick off the season with the Waterfalls, Watercolors and Wanderings canoe trip at the end of June and into July, spending 6 days paddling through Algonquin while experiencing cascading waterfalls and taking some time to relax and soak up the beautiful surroundings. The classic, ‘Morning Tea with Moose’ Algonquin Park canoe trip will be offered on most weekends throughout July and the ‘Wolf Howl’ Canoe Trips will be offered on a number of weekends throughout August and September. Both of these trips offer great chances of viewing various wildlife and experiencing the scenery and energy that make Algonquin Park a world renowned paddling destination. NEW Canoe trips are also being offered this year and I am excited to have the opportunity to facilitate these experiences. The first one will be ‘The Way of the Naturalist’ Canoe trip taking place July 8-12. This Algonquin Park Canoe Trip will focus on learning to study nature in a more focused and aware manner. You will learn to begin to see the world through the ‘eyes of the naturalist’. Learning what to look for and how to glean the most information about your environment in a single glance. Birds, mammals, plants, trees and ecological indicators will be the focus of our time together. The second new trip is called ‘Tracking the Wildlife of Algonquin Park‘. It will be taking place on August 21-24 and will focus on learning from the animals that call the park home. We will learn to ‘track’ these animals and find out how they live thier lives from day to day and throughout the seasons. Some of the animals that we may come across are deer, moose, wolves, otters, turtles, snowshoe hares, marten, beavers, etc…. Participants will come away from this trip with a greater understanding of wildlife and the important role they play in maintaining a balanced eco-system with a special focus on Algonquin Park. There are also many other trips, such as ‘Heart of Gold’ ‘Seeking Solitude’ ‘Womens Only – Wolf Howl’. 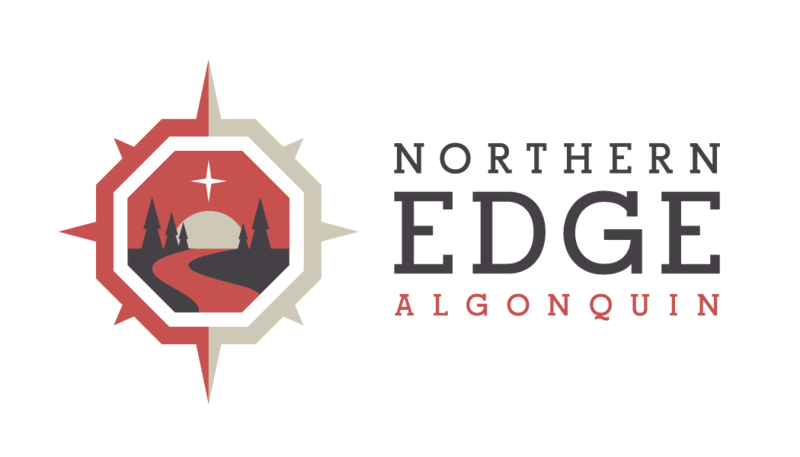 You can find all of the necessary information on the website – NorthernEdgeAlgonquin.com. In the coming weeks and months I would like to profile some of the Adventure Retreat Canoe Trips that will be taking place this season. I will also begin to profile the new and exciting ‘Wilderness Arts’ programs being offered at NEA. Keep an eye out on this blog and the Northern Edge Facebook site for these postings. As we wait for the ice to break from the northern lakes we are busy planning many canoeing experiences for the summer months in Algonquin Park. We hope that you will join us on one of these adventures as we paddle together through this spectacular part of Ontario. I hope the spring weather is treating you well and you are beginning this ‘change of the seasons’ in a good space and feeling healthy and happy.